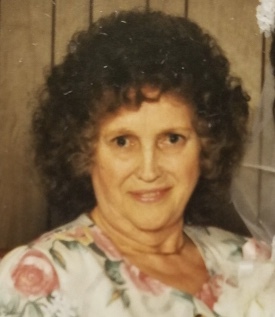 Joyce Kathleen Henry, 90, of Indianapolis, passed away at 11:17 a.m. Tuesday, March 19, 2019, at Franciscan Health, in Indianapolis. Joyce was born on July 19, 1928, in New Salem, Kentucky, the daughter of Walter and Inez (Wade) Wall. She married the love of her life, John R. Henry on April 11, 1945, in McKinney, Kentucky. He survives. She is also survived by one daughter- Mary (Earl “Don”) Johnson of Indianapolis; two grandchildren- Joy (Brad) Armstrong of Indianapolis and Tim (Lynette) Johnson of Newnan, Georgia; six great-grandchildren- Robbie, John, Cameron, Mary, Ethan and Logan; and several nieces and nephews. She was preceded in death by her parents, one sister- Ruby Henry and a brother- Claude Wall. Joyce and her husband attended Thompson Road Baptist Church. She enjoyed watching birds, fishing and camping at Lake Monroe, gardening and going to church. In her younger years, she was very involved in church and was a Sunday school teacher. She was in charge of all of the flannel graphs for the church and always made sure that everything was perfect. In her later years, she enjoyed writing poetry and was a published author. Her greatest joy was spending time with her family, especially her grandchildren and great-grandchildren. They were the love of her life and would do anything for them. A Celebration of Joyce Henry’s Life will be held at 12:00 p.m. Saturday, March 23, 2019, at Norman F. Chance Funeral Home, 504 National Avenue, Indianapolis, with Pastor Anthony Slutz officiating. Visitation will be from 10:00 a.m. to 12:00 p.m. Saturday, at the funeral home. She will be laid to rest following the services in Forest Lawn Memory Gardens. The family has entrusted the Norman F. Chance Funeral Home to assist them in honoring Mrs. Henry’s life. Memories or photos may be shared with the family on her everlasting memorial page at: www.ChanceFuneralHome.com.